Casie Crosby - Robert L. Lambert, Jr., P.C. Our Elder Care Coordinator, Casie Crosby comes to us with 8 plus years as a Social Worker with experience assisting seniors in the South Georgia area. She grew up in Thomaston, Georgia and attended Valdosta State University graduating with a Bachelor of Science degree in psychology. After graduation, she began working as a social worker in both nursing home and hospital settings as well as working with a home health agency. She brings a wealth in information and resources to assist our clients and is very passionate about helping seniors get the resources they need. 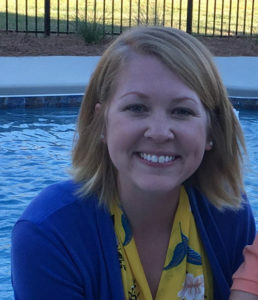 Casie is married with two small children and enjoys hanging out with her family and taking trips to the beach or the lake when she is not working helping others.